The uses of RPA in the HR and Finance sectors are well documented, but what other industries are ready for the introduction of RPA? Hear what Anthony Ryan, Head of Procurement operations & Supply Chain – RPA COE Lead at Eir Ireland has to say about the impact of RPA and how it can help shape your business strategies. 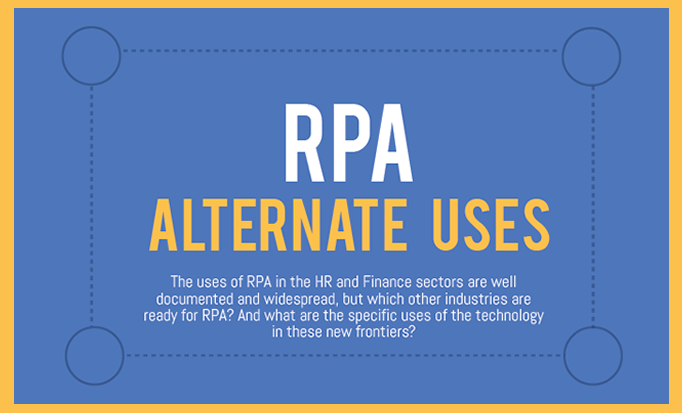 Download the free infographic to discover what impact the specific uses of RPA technology in these new sectors will have and how it will change the industries.